Calcium. Vitamin D. Iron. There are many nutrients that you may be a little deficient on, and need to make a regular part of your diet using a supplement. But don’t go out and buy a single ingredient supplement—nutrients work better together; they’re more efficient, and sometimes the underlying problem is indirect (you’re eating the nutrient you need, but not its support that helps the body absorb and use it). 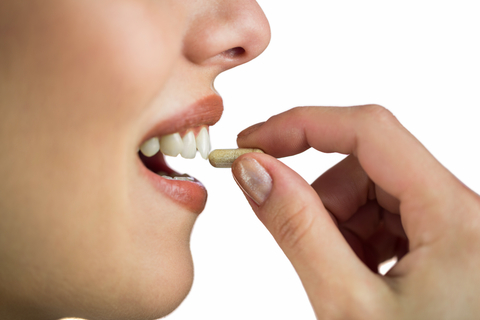 Instead, choose a high-quality, balanced multivitamin like Vita One. Vita One is carefully crafted with the most needed nutrients in their most useful form (cheap grocery store vitamins use cheap ingredients that are harder for the body to use, especially ones with gastrointestinal issues. Take Vitamin D, for example. Without enough, you might feel tired, sad, or even ache-y. But don’t take it by itself; your body needs other nutrients with Vitamin D, like magnesium, and having Vitamin D helps your body with other nutrients, like calcium. Nothing stands alone, your body and the nutrients it needs form a complex system, and that system works better when all the pieces are in place. Having a high-quality daily multivitamin like Vita One helps to ensure that each day, everything runs smoothly. As a Welltrient, Vita One is built with that system in mind. While it starts with the basics, it’s also formulated to work well with other Welltrients. If you want to expand your supplementation to support heart health, Vita One and Mito Cardia pair together for even better support. Or expand to include more diet-balancing antioxidants with Triple Strength Antioxidant. (All together, they make the Welltrient Trio). Then you can explore the Welltrient line further to customize to your own needs, while getting quality, interconnected support. Previous post: Measles and Mumps, Oh My!